At Precious Flowers, we specialize in Fresh Floral Design and Décor for any Event or Special Occasion . 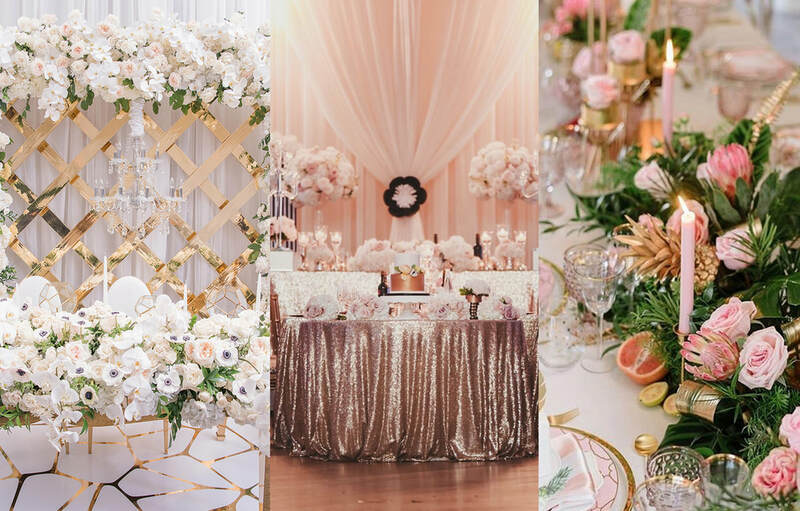 We offer floral design and décor for Weddings, Engagement Parties, Bridal Showers, Anniversaries, Baby Showers, Birthday Parties, Bar & Bat Mitzvah’s and any Corporate Event. ​We look forward to making your dream Event Design come to life! Precious Flowers specializes in fresh floral design and employs some of the best floral designers in the industry. Our designers have the necessary training and experience to take our clients vision and translate it into floral reality. 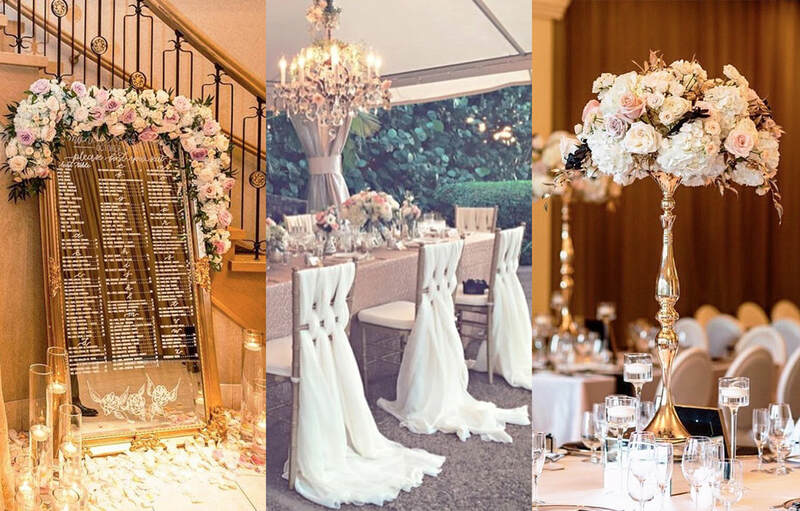 We do all things floral including… Centrepieces, Ceremony Arrangements, Fresh Floral Bouquets, Boutonnieres & Corsages, Ceremony Pieces, Floral Arches, Fresh Floral Garlands, Wreaths and we can even cover ceilings and walls with flowers! We also carry artificial flowers for certain designs based on clients’ wants and needs. Precious Flowers Event Design is a one stop shop to get all that you need to design and decorate any special occasion! 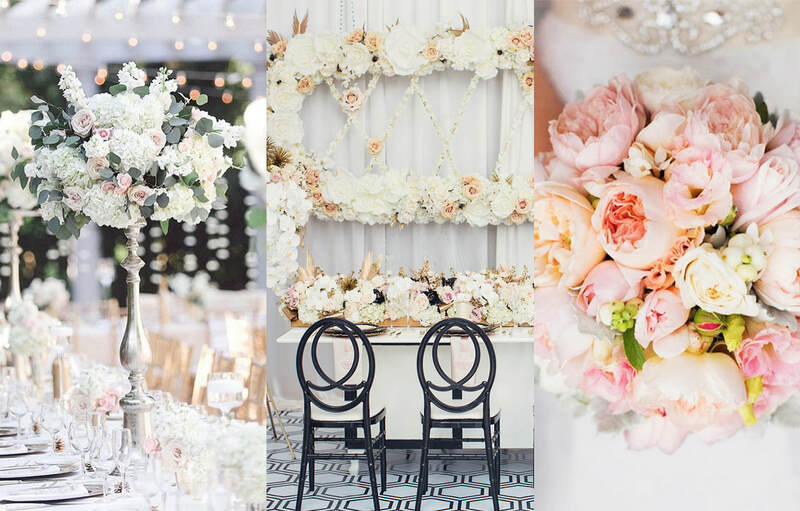 Precious Flowers can assist you in creating any Backdrop or Table design for your special event or occasion. We offer all types of materials including: chiffon, satin, tinsel, sequence and as always, you can ask us about anything not listed and we will do our best to accommodate you. We can even add various accessories such as chandeliers, crystals, lighting, hanging tea lights, ceiling draping or anything else that fits your vision of the dream design. Our linens are showcased in our showroom for clients to see. By appointment only, so give us a call (647)-886-8031 or send us an email pfeventdesign@gmail.com to schedule your consultation today. ​Our goal is to capture our clients’ vision and bring it into reality. Feel free to ask about anything not listed, we will do our best to accommodate you.